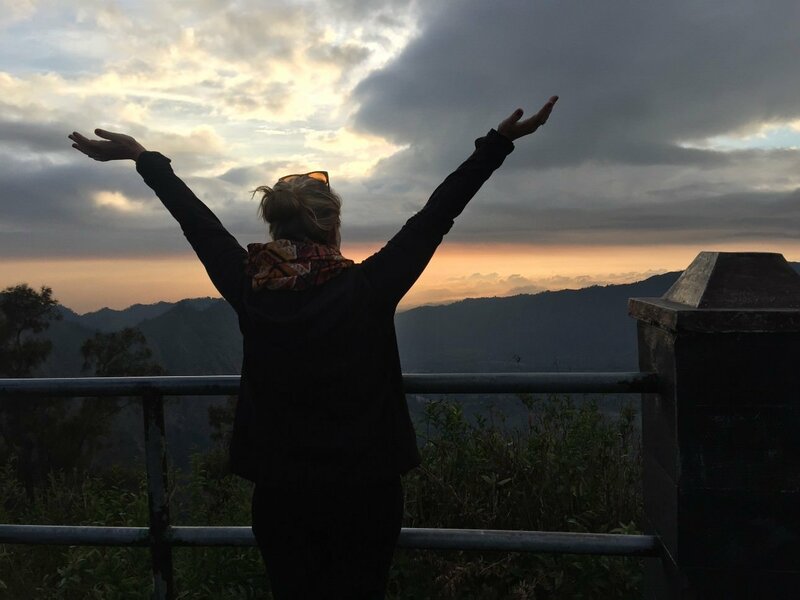 The best place to view Mount Bromo for sunrise is from the neighbouring Mount Penanjakan which is accessible by Jeep. Here you get a great view down onto Bromo below. 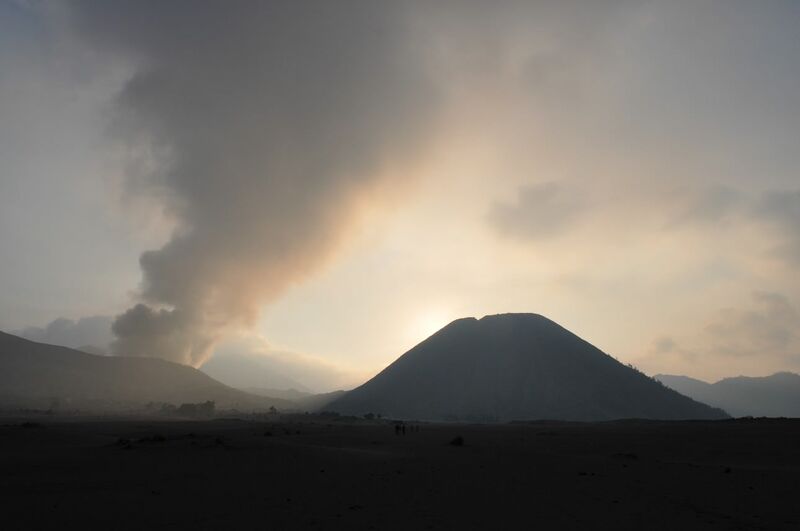 Mount Bromo is one of Indonesia's most active volcanoes and forms art of the Tengger Massif. The volcano sits in the middle of a vast plane called the Sea of Sand and it is this we had to walk across before climbing the mountain. Arriving in Tawangmangu I opted to take a walk through the local countryside and villages which game me a chance to visit a waterfall and get a better understanding of local life. The scenery was really good, lots of agriculture with fields climbing the steep slopes of the valley. 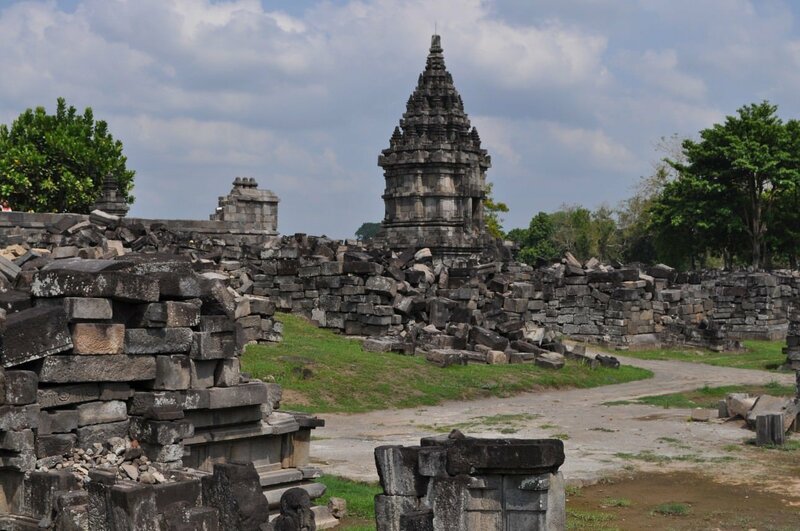 The following day we start our journey to Tawangmangu via a tour of the Prambanan Hindu Temple. 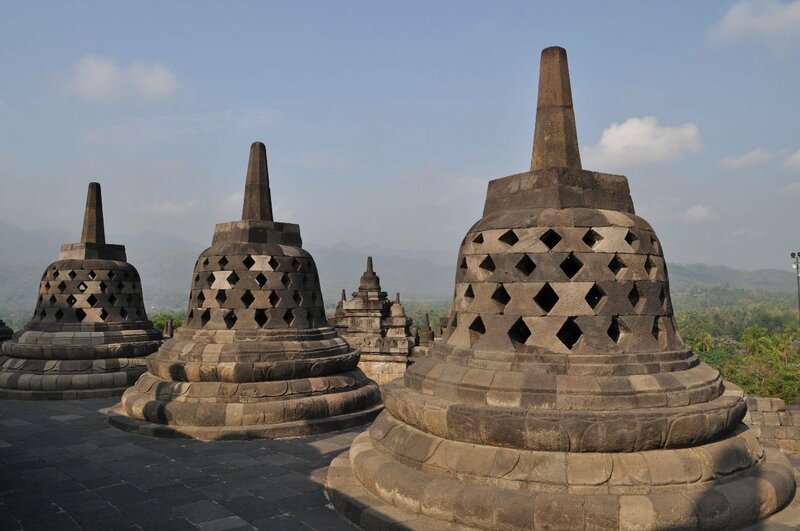 The temple is the largest Hindu temple in Indonesia and is a UNESCO world heritage site. 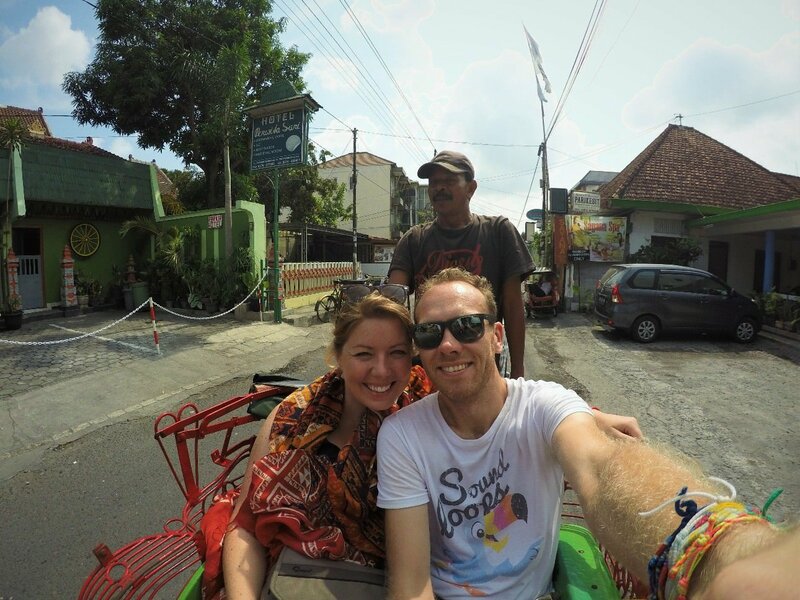 Yogyakarta is a big city with a younger more vibrant feel about it due to its large student population. We opted to take a rickshaw tour of the city. 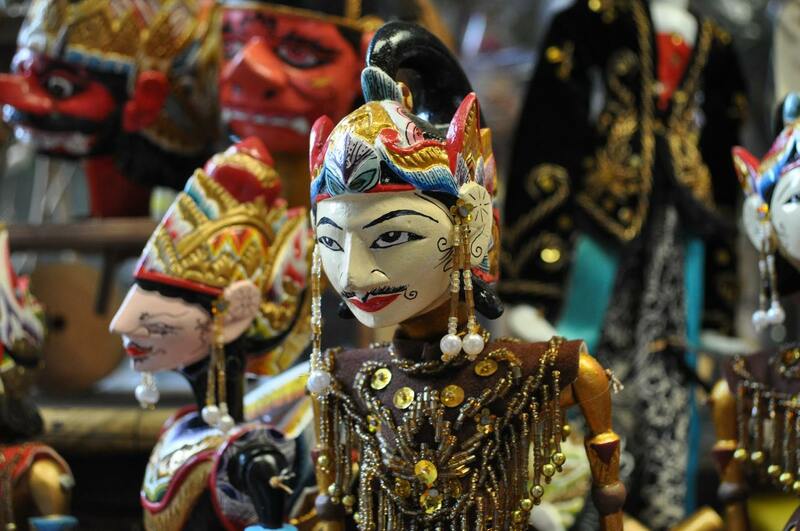 When we arrive in Bandung we go on an orientation walk around the city and get take to see a traditional Indonesian puppet workshop. 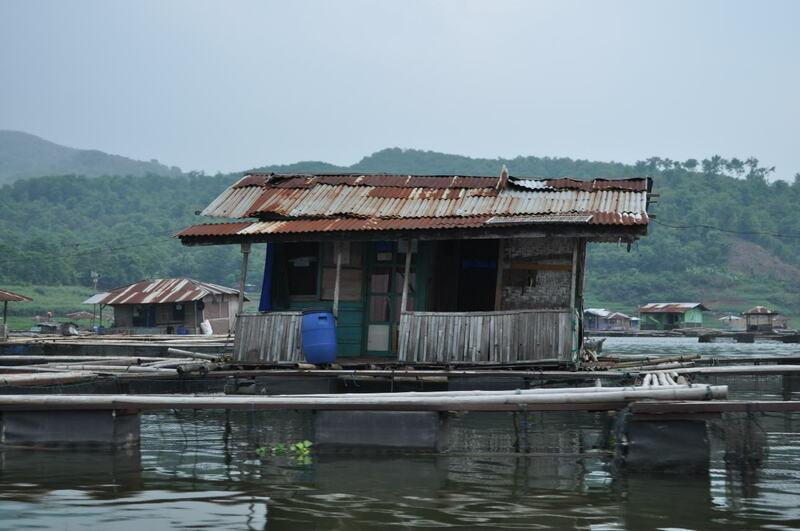 Our journey from Jakarta to Cianjur took us via a couple of interesting stops, first up a tea plantation and then the floating villages of Bogor. 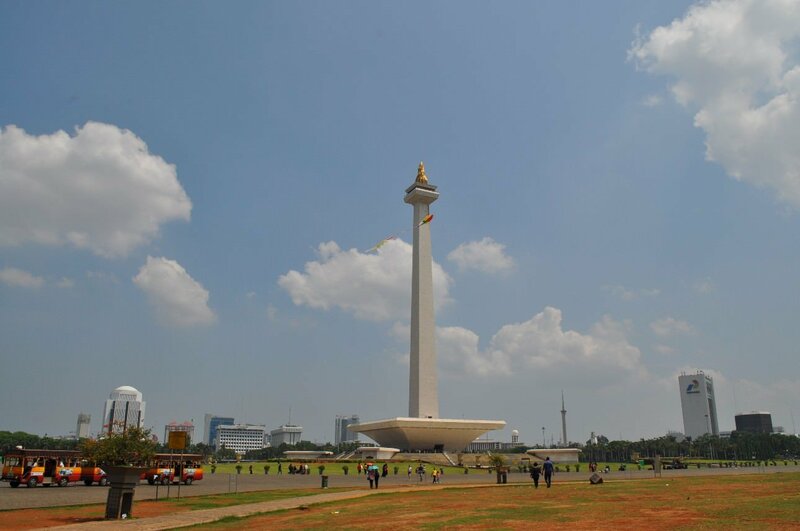 Our first stop in Java was the busy and sprawling capital of Indonesia, Jakarta. For us this meat a bit of a step up in terms of the options available for food and so a bunch of us headed straight to the Hard Rock Cafe to grab a burger and just enjoy eating somewhere a bit more normal.